Minister was speaking at the inaugural function of Constitution Day Celebration 2018. “Human rights are read as a part of Article 21. But terrorists today, equipped with the most destructive weapons, also speak of human rights and the right to fair trial, which we must give them. But how to balance the rights of the victims of these senseless killings?”, he asked. “This, in a nutshell, encapsulates what the Constitution means”, stated the AG. Quoting Dr. Rajendra Prasad as in the Constituent Assembly on November 26, 1949, in so far as the first President of India had said that “A Constitution like a machine is a lifeless thing. It acquires life because of the men who control it and operate it, and India needs today nothing more than a set of honest men who will have the interest of the country before them”, the top law officer remarked, “these are words eternal in character and must be kept in mind for all times to come, in India and outside”. In his welcome address, Justice Madan B. Lokur had regarded the Constitution as a “vibrant, living document” framed by “Eminent personalities with an extraordinary futuristic wisdom”. “There have been numerous Challenges to our body politic. On this very day in 2008, in the threat posed by a terrorist unit, over 250 people had lost their lives. we must continue to be resilient to face these challenges unitedly and resolutely. The integrity of our country must be the foremost concern!”, signed off the second seniormost judge of the apex court. Supreme Court Bar Association President and Senior Advocate Vikas Singh emphasised on the need for “innovative legislation”, to think ahead and to adapt to changing times. 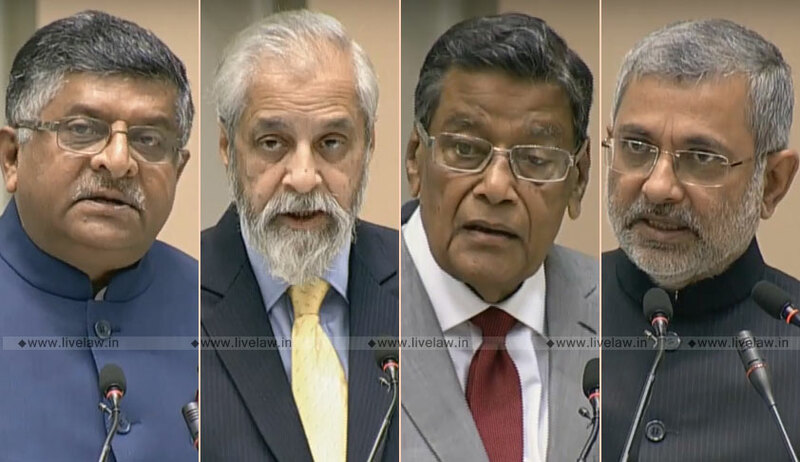 Proposing the vote of thanks, Supreme Court Justice Kurian Joseph Advanced an appeal to the people of the country, being not merely stake-holders but also “duty-holders” to resolve to become law abiding citizens. "Adhering to the Constitutional principles is the major issue the nation is faced with today," he declared.